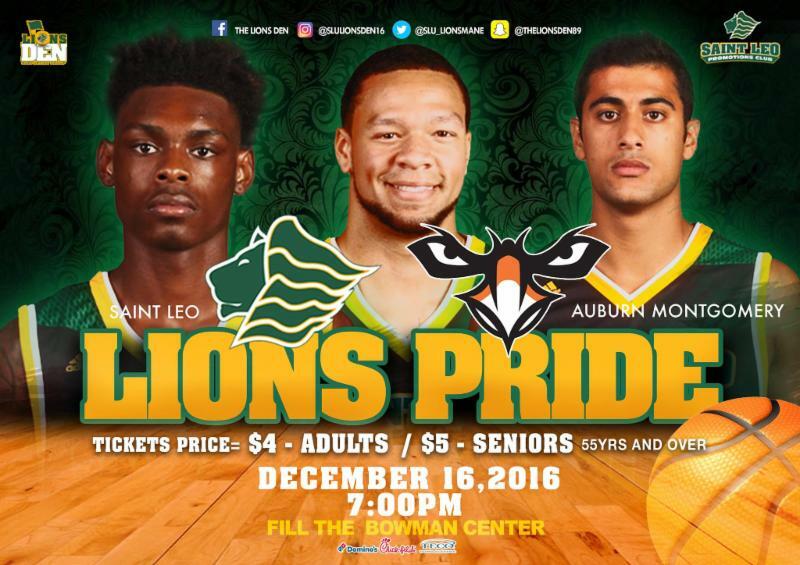 Your Saint Leo University Lions Basketball Team will be playing against Auburn Montgomery Warhawks on December 16, 2016 at 7:00 PM on University Campus. This game is an important one in the Lion’s season and therefore the support of the entire community will be needed…so come with Family, Friends, Neighbors! Be Sure to Wear Green & Gold!